Start in This delightful Langford Starter Home !! This is a unique opportunity to get into the best Starter Home or Investment property currently on the market. Period. In Langford you can still get a lot of house for your money and this 3 bedroom half-duplex is the proof. It's a wonderful condo alternative that's open and spacious with fantastic outdoor living space. In fact the main level is perfectly set up for free flow from the inside to the outside. 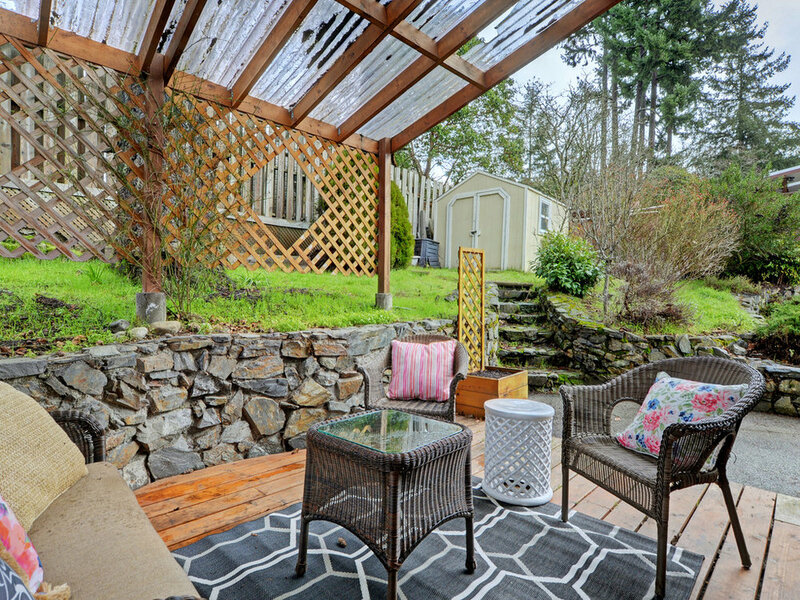 Curl up by the gorgeous cozy fireplace or fling the patio slider wide open and enjoy the deck right off the kitchen. Your BBQ routine just got perfected! The back yard is also the right size for a busy family that needs space to play but won't have you spending all of your free time mowing. I can see this garden getting lots of use this summer. All the bedrooms and main bathroom are upstairs on the same floor. Plus you'll find loads of storage on both levels. This home is on a cul-de-sac with easy access in and out. Walk to downtown Langford which now features some of your favorite Victoria hotspots like Darcy's Pub, Mole restaurant and Floyd's diner. You can walk to all those from here. I'd say that's a pretty short commute. It's also easy to hop onto the freeway, an express bus or the galloping goose nearby which all help cut down travel time. If you're looking to get into the market and start paying yourself every month this is a lovely little place to start.